Because it’s December, both Josh and Luke have decided to make choices themselves, and we hope you like the gems they’ve picked. First is Luke’s selection. For those who have been with us for a little while, you may have heard of Tellison. They appeared on Issue Three’s Sensible Record Labels Compilation, and they’re on our Issue Five’s guest selector’s label Alcopop! Records. This year saw the release of their third album, Hope Fades Nightly, which has been over four years in the making. 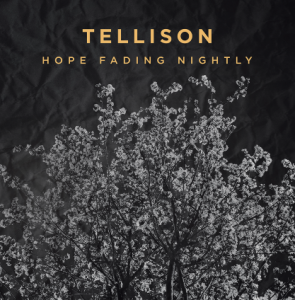 Filled with beautifully heart-wrenching lyrics, and some proper ‘sing at the top of your lungs’ choruses, Hope Fades Nightly has been on constant repeat since it was released in October. From the gorgeously low key opening of ‘Letter to the Team’ to the bitter-sweet ending of ‘Tsundoku’, the album pulls at the feels the whole way through. I hope you all enjoy it as much as I have. Now on to my (Josh) selection. Choosing this at the tale end of a party month, it only felt right that my selection should follow suit. What we have here is incredible timing with a 12″ issue from Dimitri From Paris. For those who don’t know him, Dimitri from Paris is one of the modern disco classics and his reinventions and mixes of classics are always delightful. 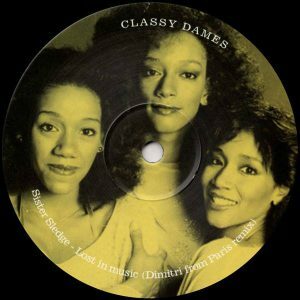 This Classy Dames release includes two Nile Rodgers classics: Sister Sledge’s Lost in Music and Sheila B & Devotion’s Your Love is Good. Christmas and new year may be over, but spin these to kick start any party.